The SAP also commits the countries to strengthen and build upon a previously existing regional coordination mechanism, in part by establishing a new Joint Authority for the Nubian Aquifer System. The Programme lays the groundwork for improving cooperation among the four arid nations and for strengthening their capacity to monitor and manage the aquifer effectively. With growing populations and decreasing water availability from other sources in the region, the aquifer is under mounting pressure. Removing water without a clear understanding of transboundary and other implications threatens water quality and has the potential to harm biodiversity and accelerate land degradation. The region is also susceptible to increasing pressures from climate change, further stressing water availability. In this context of water-stress, strengthening and building upon existing institutions for water sharing is an important step for the region. To repurpose a quote from Daniel Plainview, it’s far better (and more sustainable) for these four countries to share this particular milkshake. Alone among the four states, it [Libya] already has a immense developed water supply infrastructure based on fossil water resources. The Man-Made River taps into underground aquifers deep in the desert both in the east and the west of the country. 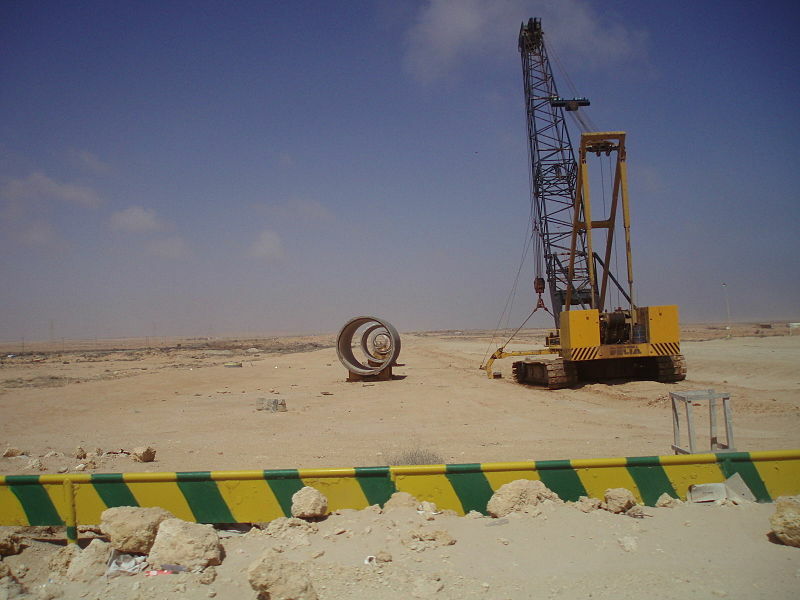 For more on this and to read the SAP see the IAEA press release here and our post from 2012, Building a New Libya in a New Climate: Water as a Key to Cooperation. Watch this space for updates in the future. By Caitlin Werrell and Francesco Femia in climate change, Sudan, water on September 24, 2013 .